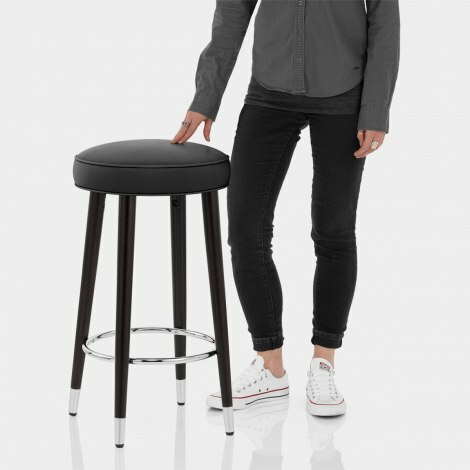 Savour the charming simplicity of the Conrad Bar Stool Black Leather, a traditional four-legged design that’s been stylishly reworked into a modern marvel. Contemporary class is embodied in the Conrad, making it immensely versatile. A little luxury goes a long way in this backless design. 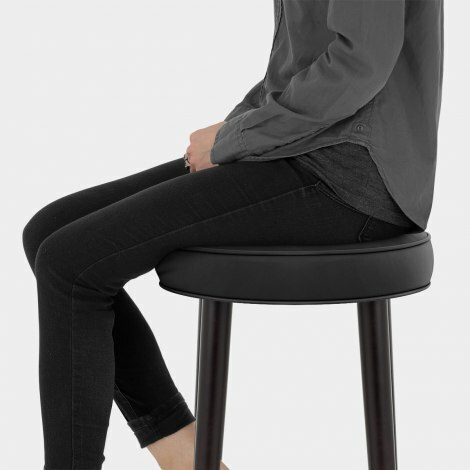 With black bonded real leather upholstering the seat, it is densely padded for premium comfort. Its compact style can also be tucked away after use, which is a great space-saving option. Set on a classic solid wood frame, the tapered legs are given a modern look with a dark wenge finish. Lending an upmarket appeal, the circular chrome footrest and matching chrome tips create a cool contrast. Plus, the frame sits at kitchen worktop height and includes protective floor pads.